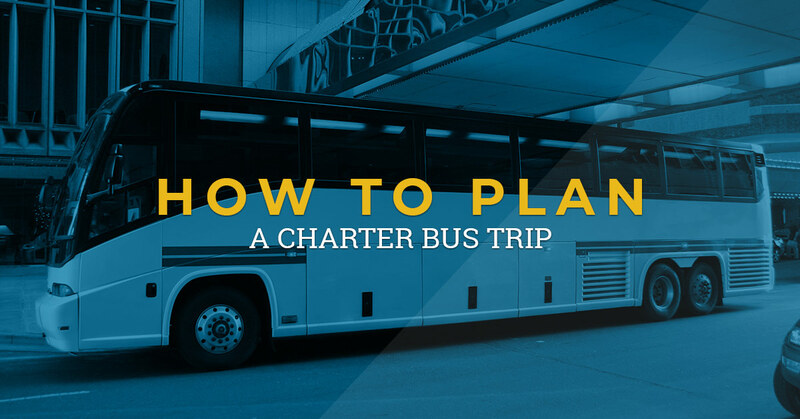 You’ve been tasked with planning a charter bus trip. Maybe it’s a short day trek to Galveston with some of your closest friends. On the other hand, it could be an overnight journey to Dallas, Austin, New Orleans, or another major city. Let’s start with the obvious one. Do some research of your own and determine which charter bus service makes the most sense for your group. While cost is certainly a major factor, it shouldn’t be the only one you look at. Not every charter bus company deserves your business. The one you choose should emphasize customer satisfaction and, of course, safety. Once you make a decision, call and book your reservation. The type of vehicle you select should be dependent on the number of passengers. At Merlo’s Charters, for example, we will get you squared away with a motor coach if your group consists of at least 50 passengers. Keep in mind that you’ll have to pay for the reservation in advance. Unless you want to get stuck with the entire cost, collect the cost of the ticket from each passenger before making reservations. The last thing you want is to be in a situation where you don’t have the funds for the charter bus reservation. Curious about the baggage weight or which items are allowed on the bus? Want to know which amenities, if any, the driver provides? These are all questions you want to get answered before heading out. At Merlo’s Charters, the vehicles in our fleet have everything you and your group members need to be comfortable. From relaxing leather seats and dual air conditioning to built-in TVs and overhead luggage compartments, it’s evident from the moment you get on the bus that customers are the top priority. You’re on the home stretch at this point. Before the day of the trip, ensure that everyone understands the rules, amenities, and arrival/departure information. Even just a text message reminder can lessen the possibility of a delay. Now the real fun begins. At Merlo’s Charters, we regularly transport folks for bachelor/bachelorette parties, family reunions, and other special occasions. Once the reservation is booked, you can hopefully relax and move your focus toward trip activities. Merlo’s has been providing reliable ground transportation in Houston for nearly two decades. Family owned and operated, we treat each of our customers like family. Plus, our drivers make sure you are comfortable, safe, and on time. Planning a charter bus trip doesn’t have to be stressful. At Merlo’s, we take care of the little things so you can actually enjoy your getaway. Contact us today to get started.